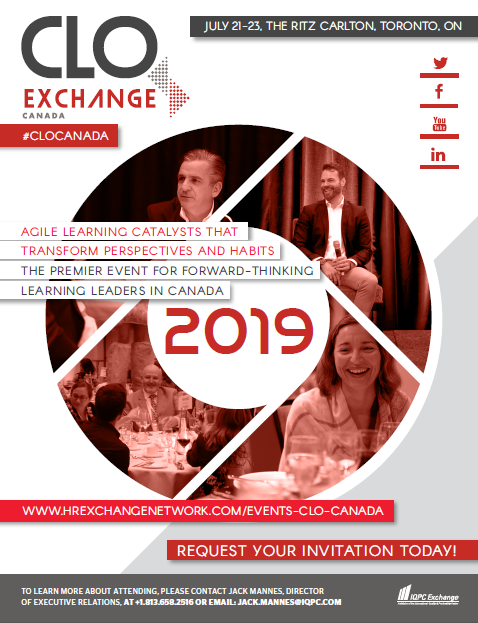 Take a look at the Agenda to see first-hand what makes our Exchange the ideal event for Canada's top L&D thought-leaders. SAVE THE DATE: July 21-23, an elite group of 40 Chief Learning Officers and Heads of L&D are gathering in Toronto, ON to discuss "Agile Learning Catalysts that Transform Perspectives and Habits". Don't miss your chance to join the conversation! Complete the form and download the agenda for a full speaker list, session topics, and event highlights.